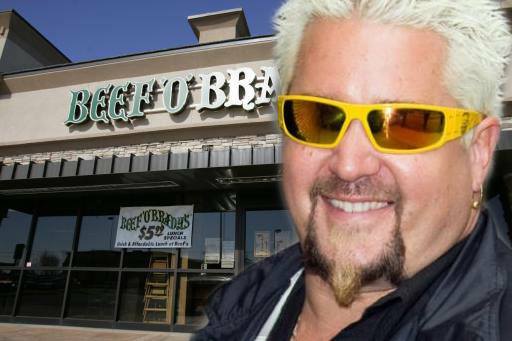 SPRING HILL, Florida – Famed restaurateur and Food Network host Guy Fieri has announced he will open a Beef ‘O’ Bradys location on Deltona Boulevard. In addition to tried-and-true Beef ‘O’ Brady’s menu, Fieri will be cooking up some new Spring Hill-themed items, including the Deltona Dog, Guy-sketti with Mariner-a Sauce and the Pink Dino-Burger (a cheeseburger so rare guests will have to sign a waiver before eating it). Additionally, the official news release explains that there will be free refills on all Spring Hill Fountain Drinks. Fieri said in an exclusive interview with the Spring Hill Courier that he plans on moving to Spring Hill to run the restaurant for at least the first six months. Next story A racist planned to open a whites-only Arby’s and then researched his heritage on Ancestry.com. What happened next will make you reconsider your worldview.